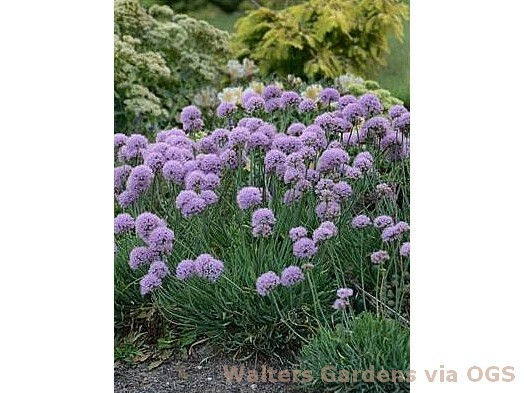 Product Information : Named for the way its flattened, blue-green leaves eddy and swirl like water, this ornamental onion blooms with 1.5" round clusters of lavender pink flowers from late summer to fall. Will spread in the landscape by short fleshy rhizomes and by self-seeding. Deadheading reduces unwanted spread and strengthens blooms for next year.